Remember the iconic toys Lego and Meccano? Well, this is bigger than that. 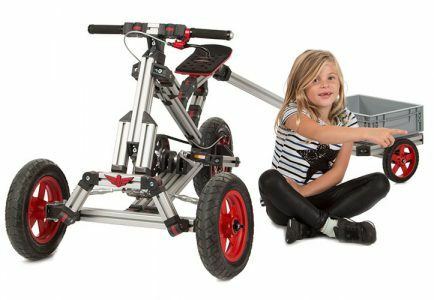 Infento is the first in the world to develop a kit for families that lets them build real constructible rides together. You only need one kit and one hex key to create unlimited rides for their whole childhood. From toddler to teenager. 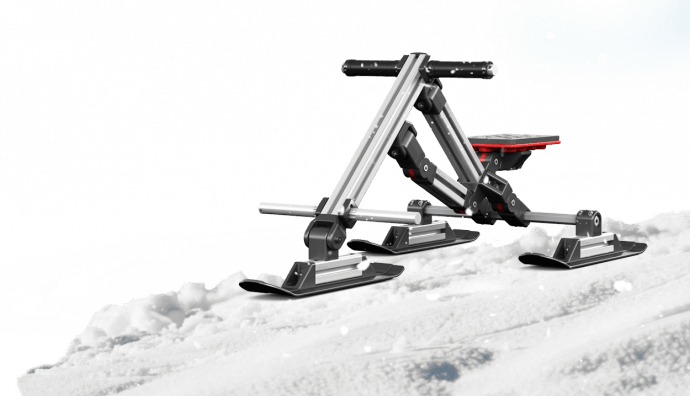 From a walker, scooter, tricycle, bicycle, go-kart, skibock to a sledge and more. 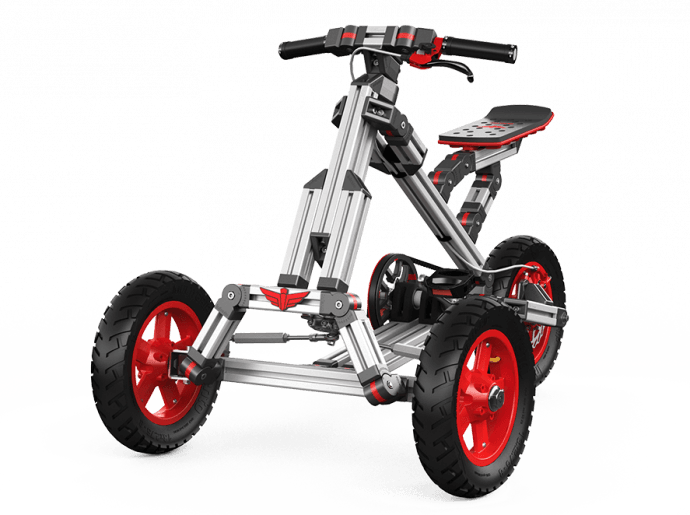 Infento’s modular parts allow endless possibilities. Where does the name Infento come from? The name Infento comes from two latin words: “infinitus” (infinite) and “planto” (to make). When pronounced you hear the verb “invent”. This combination is exactly what Infento is about. To infinitely make and invent. How long has Infento been around? The idea for Infento originated in 2010. 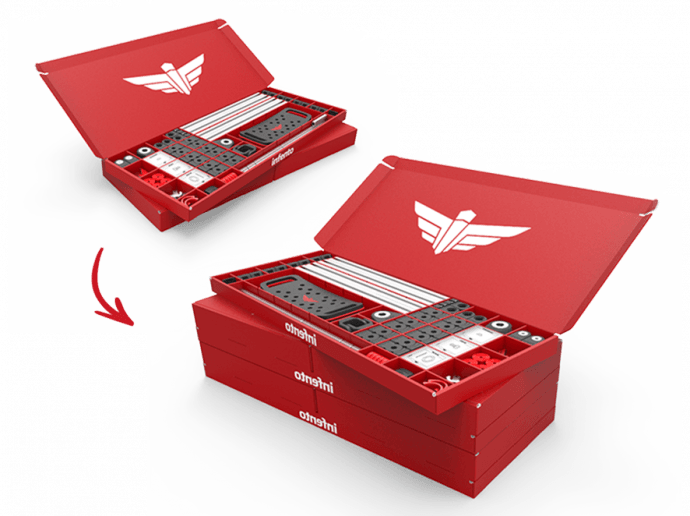 In 2012 the first product was ready to go to market: an educational kit especially designed for schools to give children a technical skillset for the future. The positive feedback from schools, parents and children led to the decision to develop a product especially designed for families. After two years of development we launched this new line of products at Kickstarter where we crushed our crowdfunding goal by almost 10 times. At the end of 2016 we opened our online store and the add-ons and upgrades quickly followed. Spencer shared this powerful idea with Sander, his brother in law. Sander immediately got very enthusiastic about the potential. They both had their own companies in design and graphics at the time but they felt so confident about this concept that they started Infento. Nothing like Infento existed so they had to design and invent every part and component themselves. Their background in design helped them to tackle the challenge to create multi-functional parts that also look beautiful together when assembled into a ride. Infento is growing quickly and we constantly shake hands with new recruits that are joining our team. Our company currently consists of 25+ creative Infentors. Our kits and add-ons are assembled with love in the beautiful city of Amsterdam in The Netherlands. We service European families from our warehouse in Amsterdam and North American families receive our kits from the warehouse in Chicago. We now sell our kits and add-ons internationally in more than 45 countries.